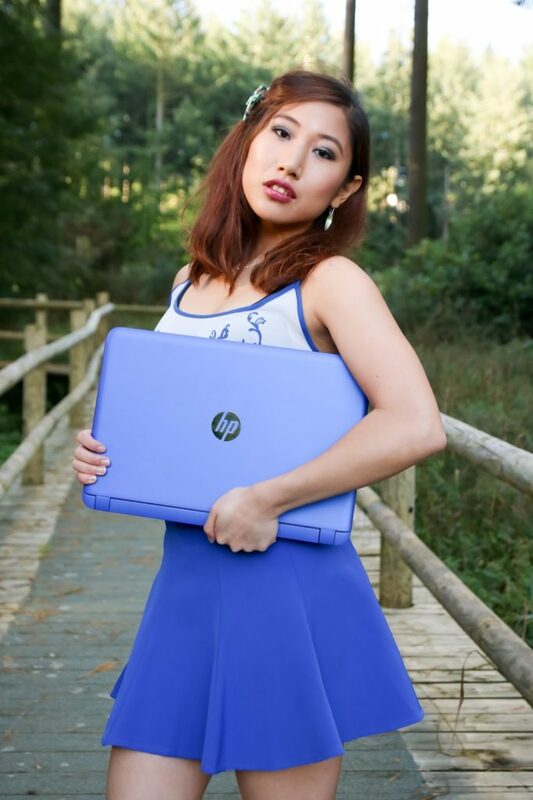 When I think about laptops, the first brand that jumps into my mind is HP, perhaps because I’ve been sticking with HP laptops for years. HP is known for its incredible super computers with amazing graphics and outstanding specifications. Not only is HP a market leader in the world of laptops, but their product range also extends to desktops, tablets and printers. As the most forefront brand in the computing industry, they’re also known for their cutting-edge technology and avant-garde design. 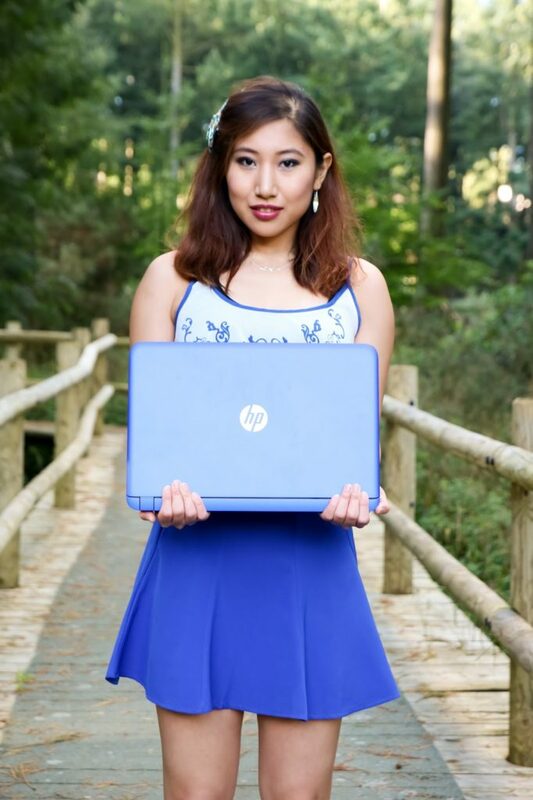 The reason I’ve stuck with HP for so long is not only because of its technical aspects and mechanical stability, but I also love the looks of their laptops and tablets. 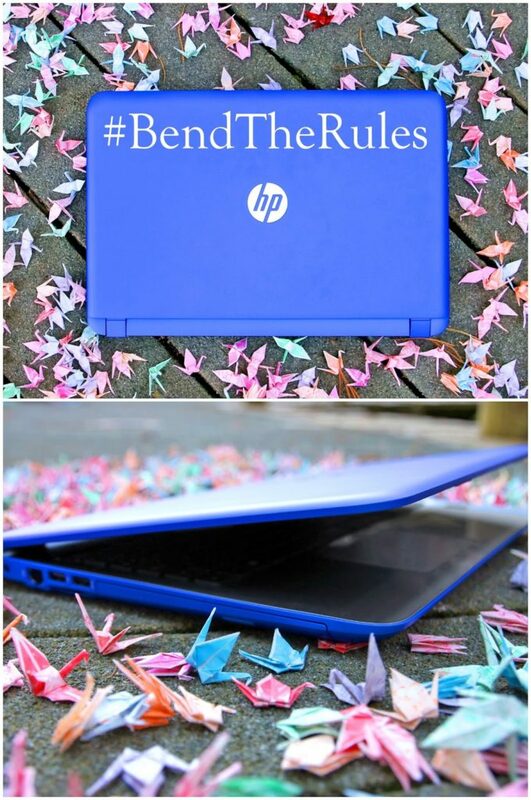 The beautiful colours and sleek design of these laptops make them stand out and easy to show off to the world. 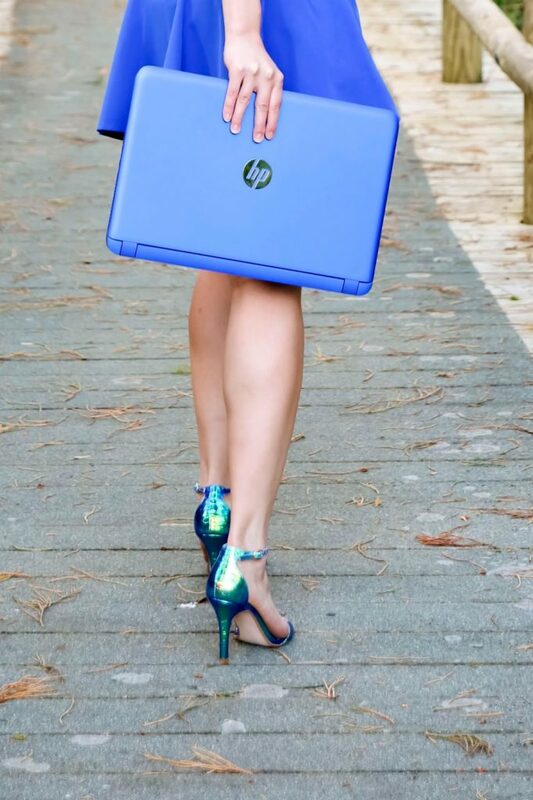 From shiny aluminium to bright block colours, HP certainly has something suitable for you! The laptops come in several families, in which Pavilion and Envy are the most popular ranges for home and personal use! 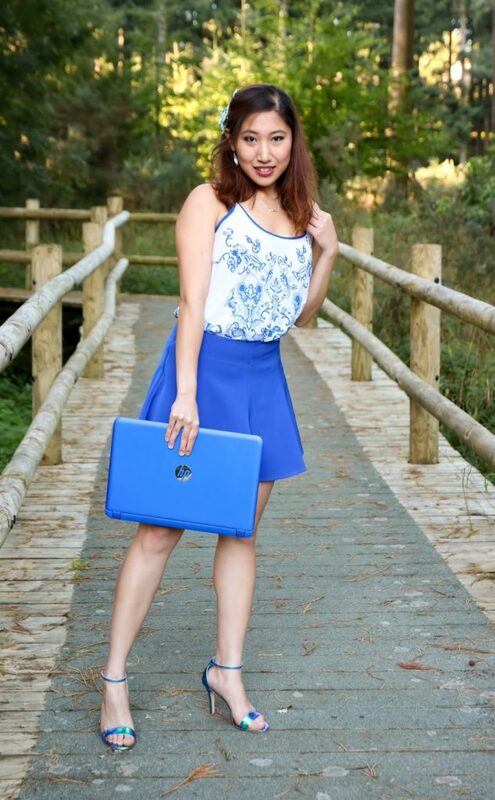 HP Pavilion is all about synergising expressive colours and impressive power to provide the ultimate affordable laptop that fits into your lifestyle! The following paragraphs will show you just how my Pavilion does that and there will be another post to follow later this week with more exciting photos! Outfit: Top & Skirt from TK Maxx, Heels from Dune London, Hair Accessories from Liliputians. The whole idea behind the Pavilion laptop is a bold and colourful design inspired by fashion, home interior and happy emotions. 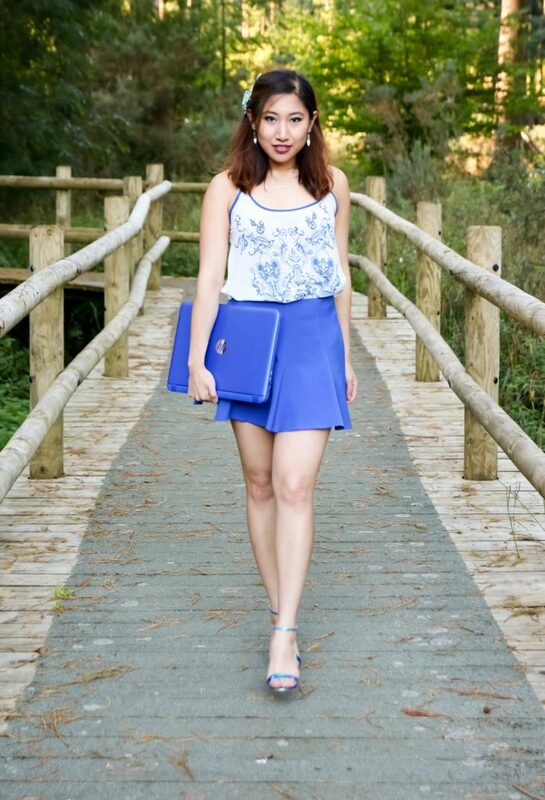 It’s taken on a lifestyle influence that makes you want to take your laptop to places! The designers behind the Pavilion laptops researched and analysed a range of shades and picked out the most engaging colours to give the classic black laptop a makeover. 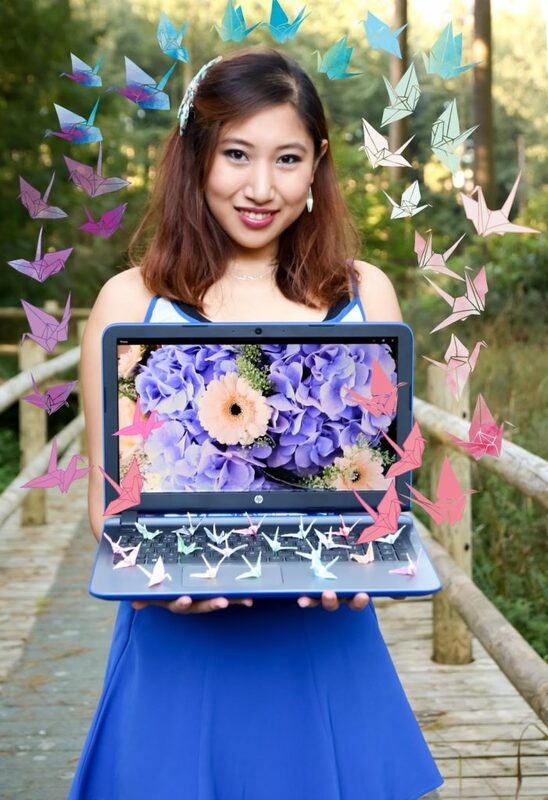 You can get the Pavilion laptops in: Natural Silver, Blizzard White, Sunset Red, Cobalt Blue and Violet Purple, almost like the colours of my origami cranes. 😉 In addition, Pavilion is also like a chameleon! I love how the Cobalt Blue reflects light and basically looks different from every angle. In fact, it’s so bright, it even makes my otherwise colourful origami cranes a bit inferior! The specifications for this particular laptop (HP Pavilion 15-ab040sa 15.6″ Laptop*) aren’t the newest in the range, but with a Core i3 processor, 1TB storage and 8GB RAM, it’s great for storing photos and for every day use. It has a 7.5 hour battery life, which is more than what you need when you’re out about for the day. I did find the laptop a bit big for a 15.6″ screen because of the extra thick rim, but at 2.3kg it’s not heavy at all for a laptop this size! 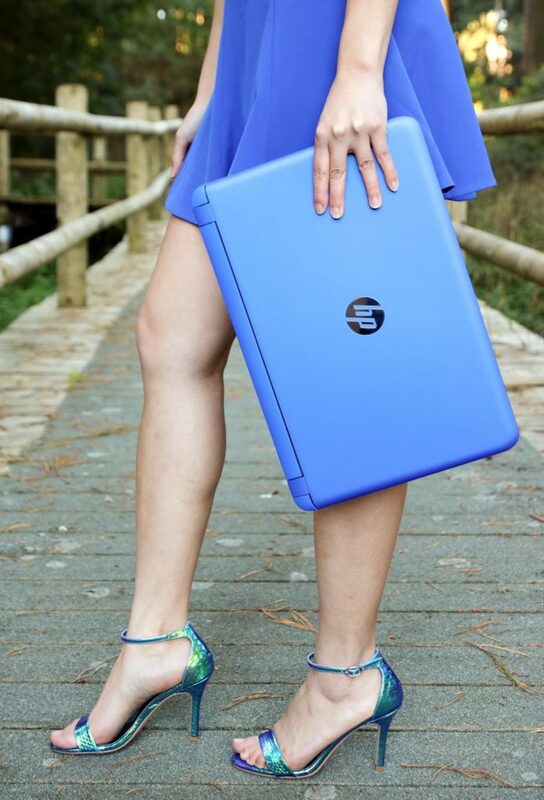 My Cobalt Blue Pavilion brings magic to every day life and “Bend The Rules” of ordinary laptops! *This is a collaboration post with HP, but the words are 100% my own.